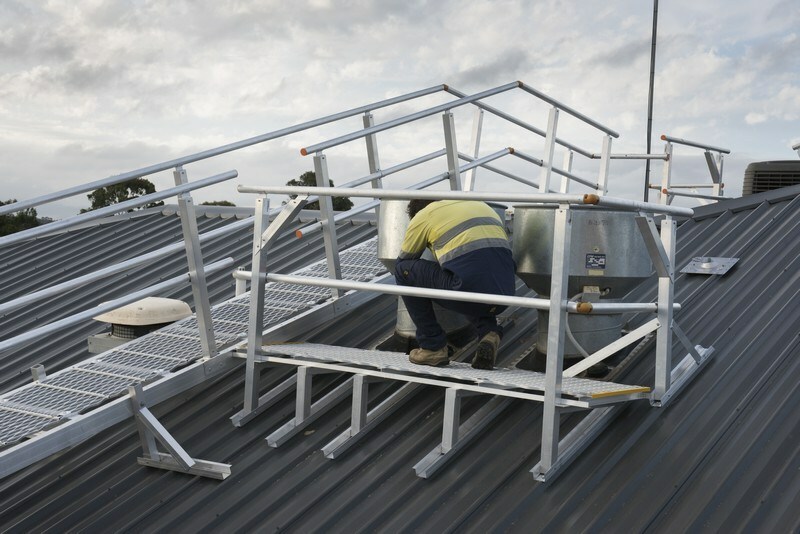 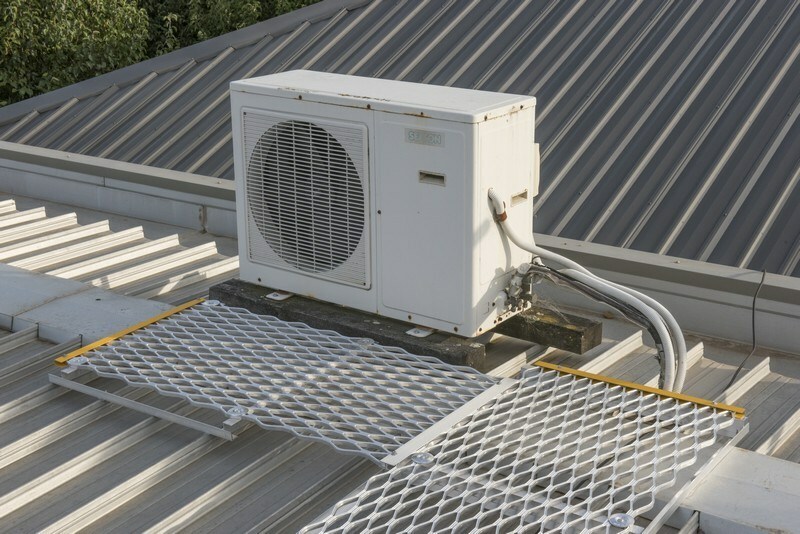 Accessing HVAC systems can lead workers into precarious locations. 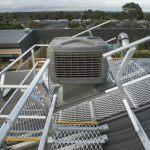 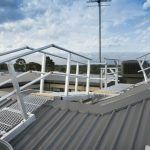 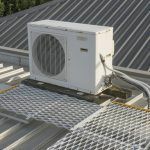 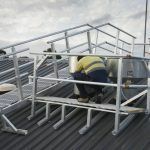 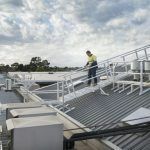 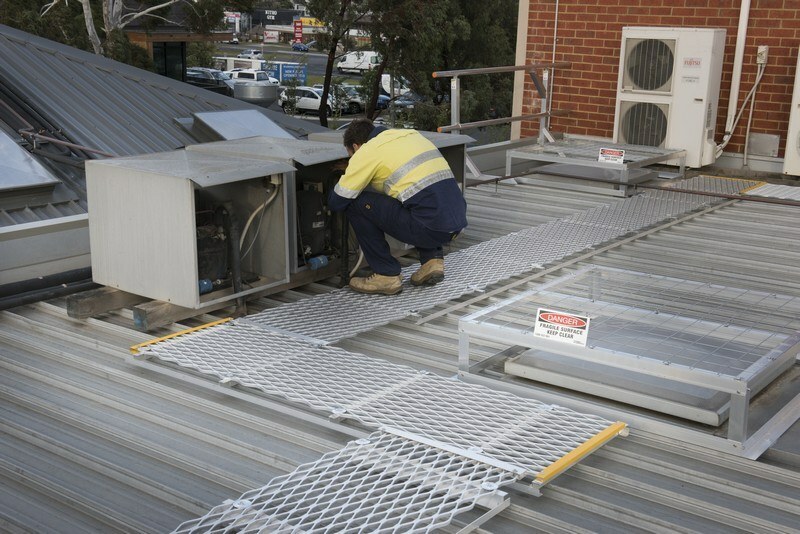 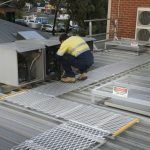 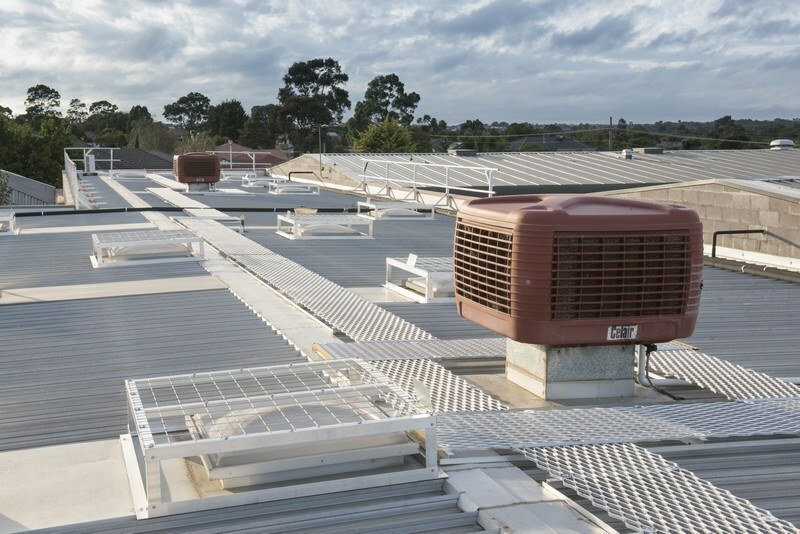 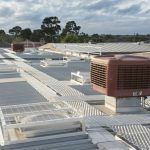 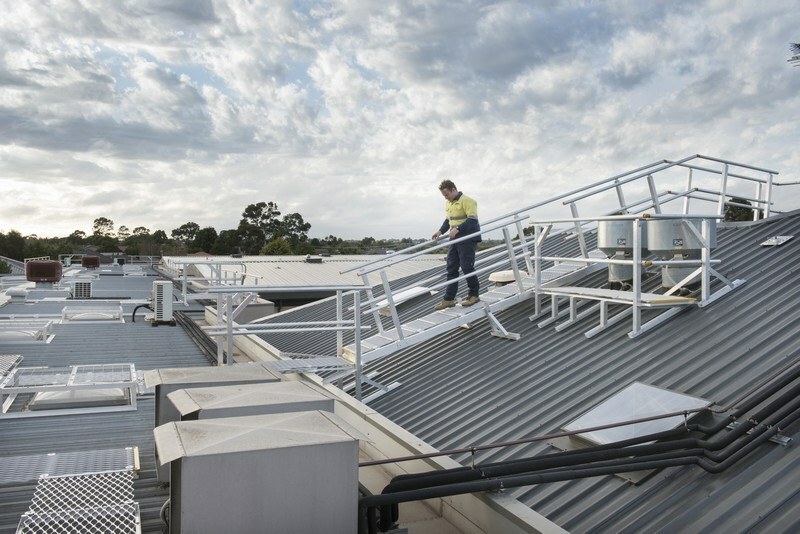 Safeguard your workers and your business by installing a HVAC access system which will allow technicians to easily access service points while keeping them safe from exposed edges, open voids or brittle surfaces. 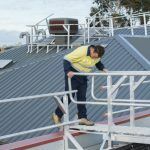 Ensure you meet your obligations as a building owner, designer or occupier by having an access system designed which will keep your people safe and keep you on the right side of state laws. 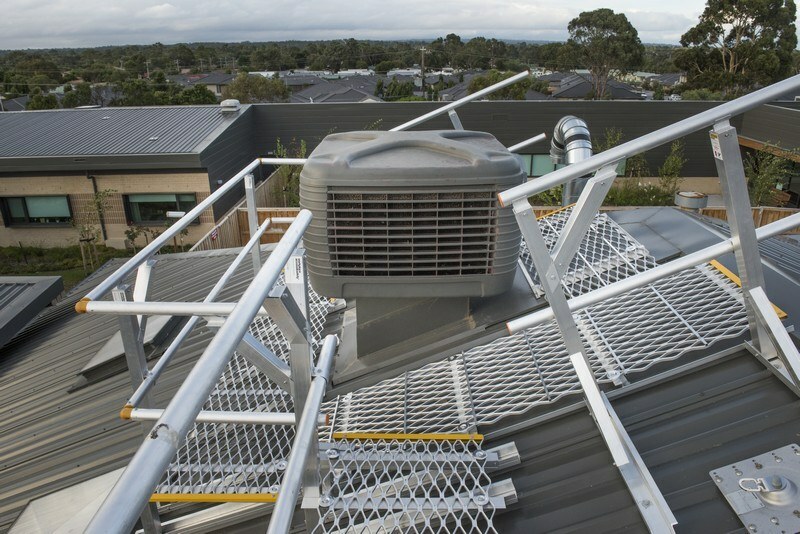 All Defender™ HVAC access systems are designed to provide safe and ready access to service points which facilitates effective maintenance and can result in lower maintenance costs. 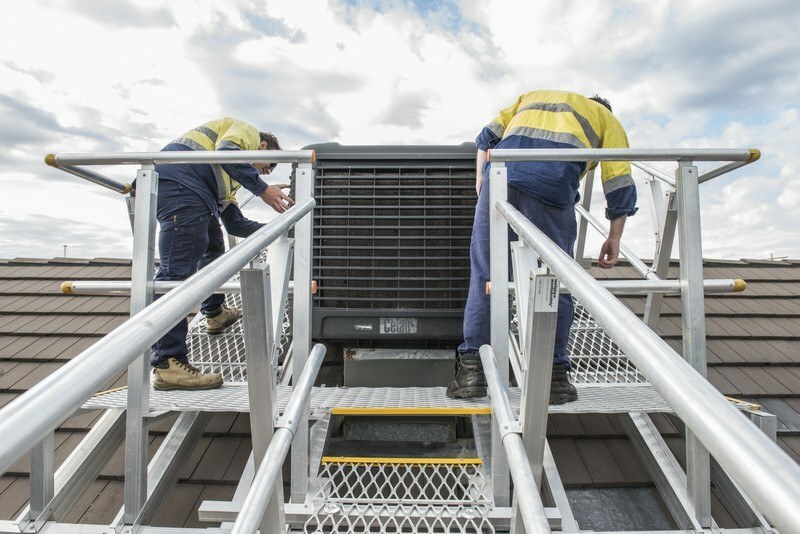 The complete solution: Defender™ HVAC systems are matched with guardrails, hand-rails, cages, fixed ladders, intermediate platforms, lockable gates, access hatches, stabilizing brackets and much more to create a system that is safe, compliant and will assist the way your people work. 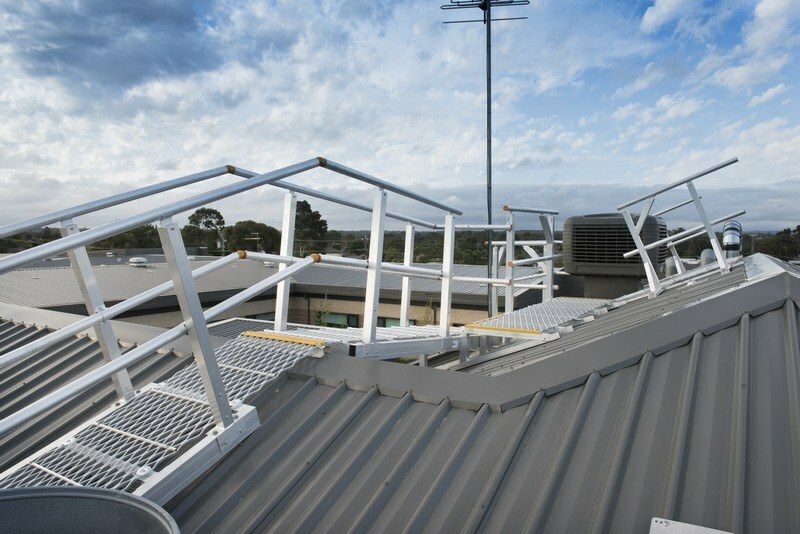 ladders, guardrailing and stairs for maintenance access, AS 1657. 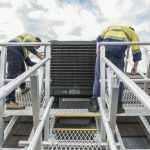 Defender™ HVAC access systems are designed to match your site and the way your people work, so you get a totally customised, safe system. 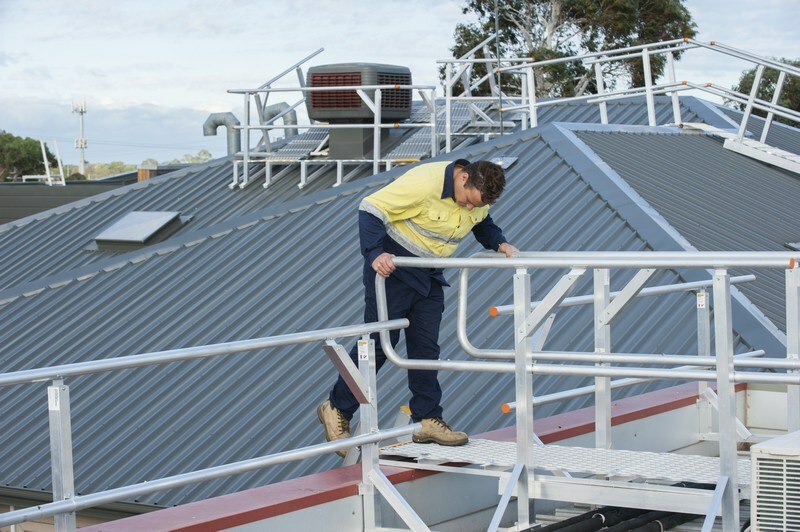 Designing the system to the site application ensures you are left with a system that will reduce risk, increase worker efficiency and keep production costs are kept under control, because smart design shouldn’t’ cost extra.